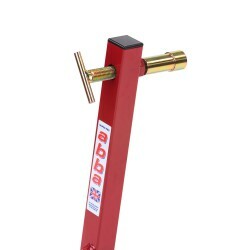 The Abba swingarm pivot stand has been leading the way for over 25 years, with its simplicity, versatility, ease of use and unrivaled quality. 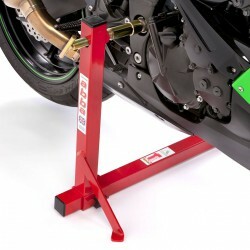 The one person operation stand fits onto the swing-arm pivot of the motorcycle. 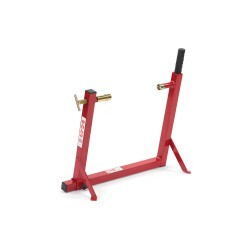 It can be simply fitted when the bike is leaning on its own side stand therefore eliminating the need to hold the bike upright whilst trying to fit a stand to the bike. 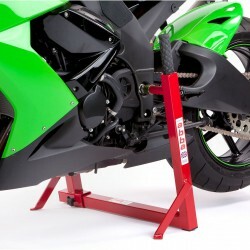 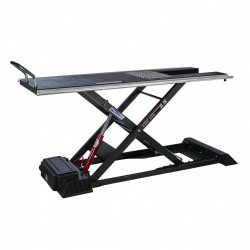 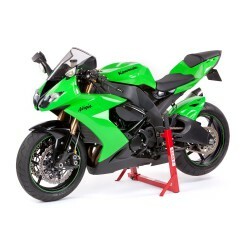 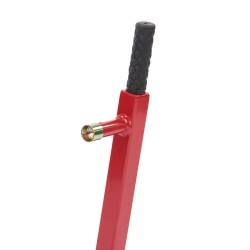 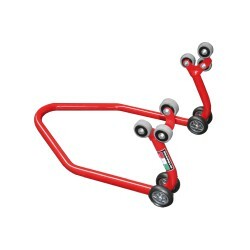 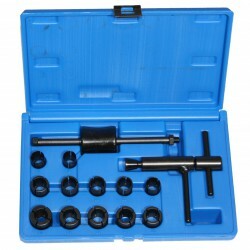 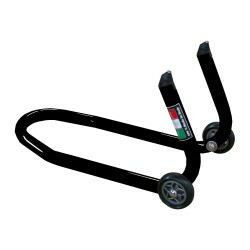 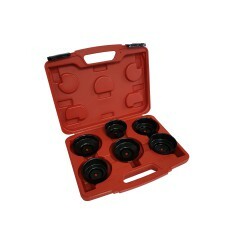 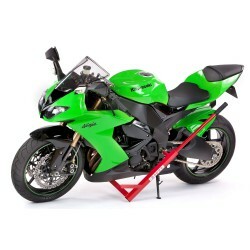 The bike can then simply and safely be lifted into the upright position using the integral telescopic extension lever. 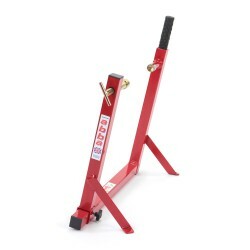 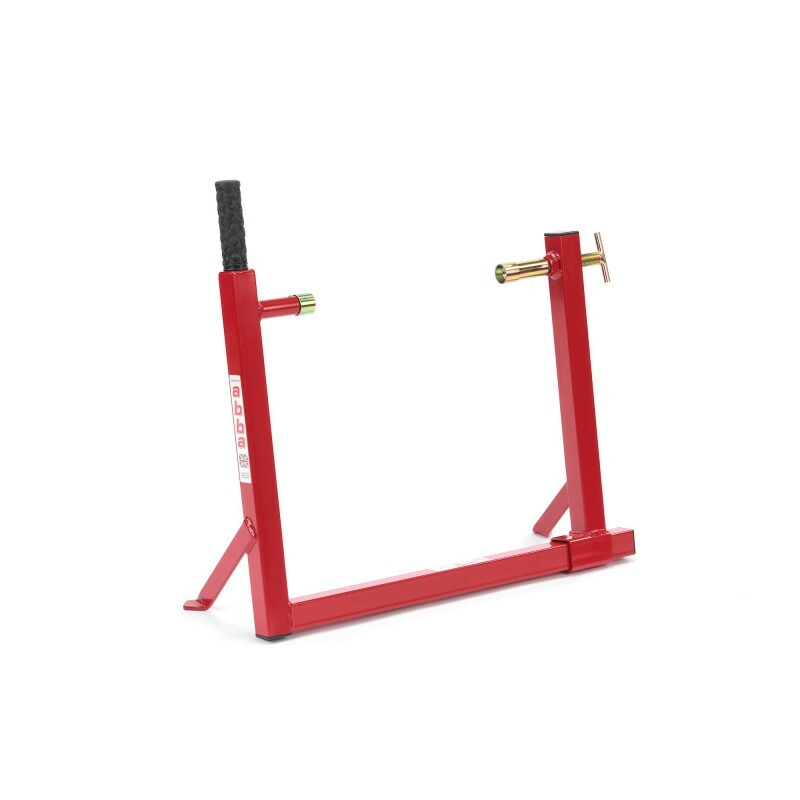 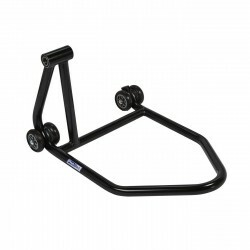 The Abba swingarm pivot stand locks to both sides of the bike, ensuring rock solid security when your bike is fitted to the stand.